The research and development has allowed skincare treatments to touch new heights. New treatments have been introduced, older ones have been improved and some have been combined for better results. 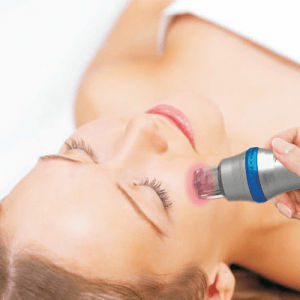 Both Radio frequency treatments and microneedling techniques have been around for a long time.Recently these have been combined together in order to better treat skin ills. Let’s take a look at how this combination works and why it’s a good idea. The combination treatment is versatile and can correct a host of conditions. These include stretch marks which result from the over stretching of skin during to pregnancy, acne scarring caused by chronic and uncontrolled acne trouble. It also works well in correcting fine lines and wrinkles which are the first signs of aging. 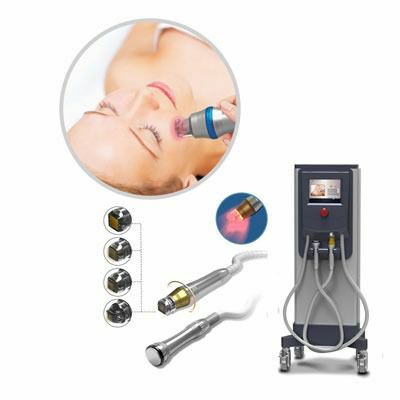 RF Fractional Microneedling is also highly effective for rejuvenating the skin in general. We use Ellysis from Jana Trading to perform this procedure. Why is it better than traditional techniques? Both radio frequency treatment and microneedling have been around for a while and are excellent option in their own right. However, when the two combine, they are able to create an effect that neither one can have on its own. The results are amazing and vouch for the combination treatment being a fantastic idea. How to prepare for RF Fractional Micro Needling in Dubai ? Both treatments work at the same time. A handheld device deploys the micro needles at a desired rate and a desired depth and retract within a fraction. At the same time, radio frequency waves are released to treat the deeper layers of the skin. Both treatments deliver better results. The piercing depth can be as deep as 3.5 mm. Medications, serums and vitamins too can be delivered through the treatment in case of need which is an added advantage. The treatment is effective for most people. However, those with dark skin tones may not be able to benefit from them. Women that are pregnant or lactating may also not be ideal candidates since the injuries need energy to recover and maximum nutrition should be provided to the mother and the baby. Apart from pinpricks, there is no sensation of pain. It can be countered with the help of application of topical anesthetics. Within a few minutes, the area is numbed down and there is no discomfort during the treatment. How many sessions are required? Multiple sessions are needed to ensure that the desired outcome can be achieved. The number of sessions will be determined by the doctor considering the condition, its extent and how well the treatment is working. The side effects on the treatment are very mild and almost negligible. Apart from swelling and tenderness to touch in the treated area, a sun burn like appearance can be seen. These issues should subside within a day or two. Expect photosensitivity to develop and ensure proper measure to counter the problem. The treatment has no downtime and a person can continue his or her daily routine without any break. Some precautions may be recommended by the doctor and they should be followed. If you take rest for a day or two, it can help you in getting a quick recovery. For more information on the RF Fractional Micro Needling treatment in Dubai or to schedule a procedure, visit us at Laser Skin Care. You can also sign up for a free online consultation by taking a minute to fill in the form given below. Considering the overwhelming response of patients in Dubai, we have also started offering RF Fractional Micro Needling treatment in Abu Dhabi and Sharjah. Free Consultation Complete the form below and we'll give you a call back to arrange your consultation. Micro-Needling and PRP Therapy: Better Together? Dr Cagatay Sezgin and staff are very professional, friendly and courteous. I found the whole experience to be most satisfactory. Everybody involved from the drivers to Interpreters to the Dr. and his lovely staff couldn't do enough to make me comfortable and relaxed. Like most teenagers, I got a tattoo in my teens that I absolutely hated when I reached my 30’s. I thought I would have to live with it until I came across laser tattoo removal. My tattoo is a thing of the past now. I never believed in the power of laser until I tried every possible home remedy for acne scars but it didn’t work. Finally, laser rescued me and I got my clear skin back. I had burn scars on my arm from my childhood. I always use to cover them with concealer and long sleeved tops until I found laser scar removal. Amazing team and dermatologists..
Laser Skin Care Clinic is a leading name in the UAE’s Healthcare Industry, with thousands of patients seeking Skincare and Laser services at the clinic every year. You Don't want to Miss Our Offer on RF Fractional Microneedling Dubai & Abu Dhabi . Fill in The Form To Avail Our Special Offer For You!